Sales were up 10.5% compared to last October while the median sold price was up 2.8%. There were 55 foreclosure sales in Mercer this month, down from 59 in October 2017. Foreclosure sales were 15% of all sales in October. Inventory decreased by 3.4% this month, and is just 5.6% lower than a year ago. 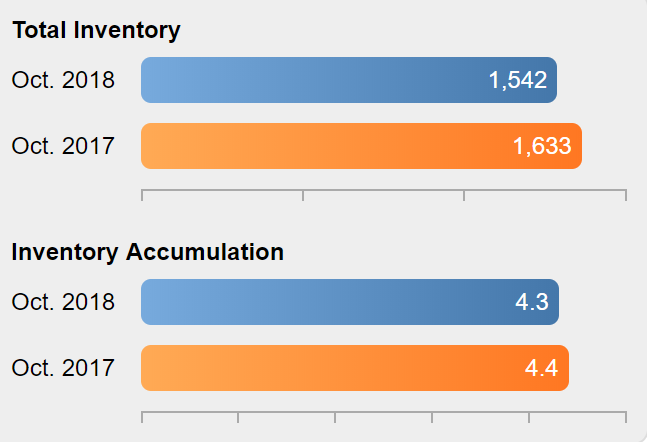 The Months Supply of Inventory decreased to 4.3 months compared to 4.4 months in October 2017. Sales in October were up 10.5% from last October but are down 1.9% year-to-date. Excluding all foreclosure sales, normal sales were up 15.9% from last October but are down 0.4% year-to-date. 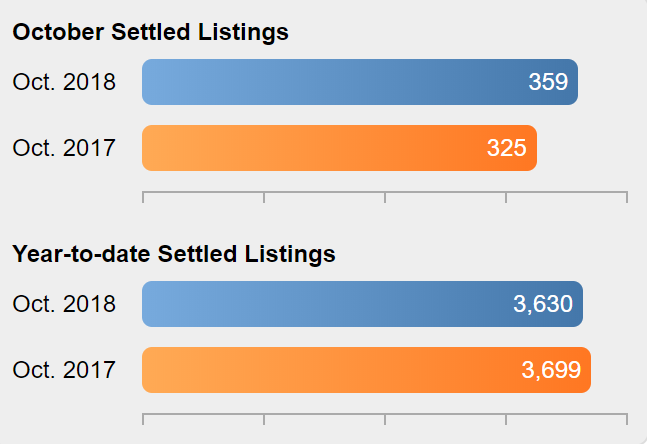 The Property Marketing Period was down from 36 days last year to 30 days this year. The median sold price this month was up 2.3% compared to last October and is up 2.1% year-to-date. 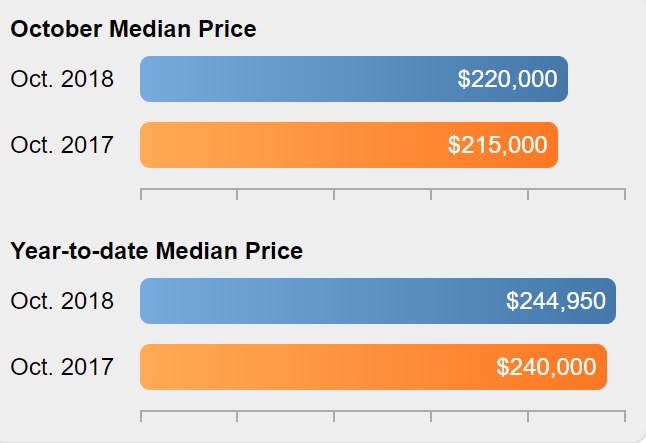 Removing foreclosures, the median sales price of normal sales was $249,500, a 4.0% increase from October 2017. 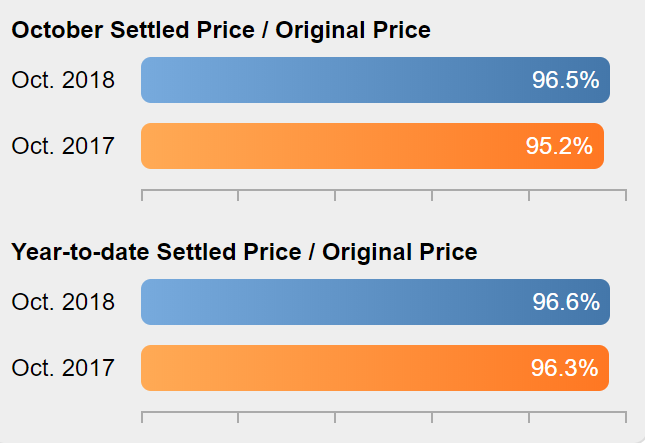 The sold price to original list price ratio typically in the range of 94-96% was at 96.5% in October and was 95.2% for October 2017. 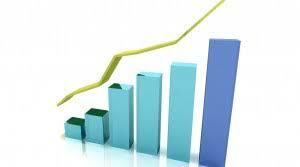 In October the sold price to list price ratio was at 97.8% down up 97.4% last October.